Kaspersky Lab, the Moscow-based security and threat management software firm best known for its endpoint anti-virus solutions, on Monday announced that it has plans to develop a software-based solution to secure network traffic as part of the VMware Ready™ for Networking and Security Program. Kaspersky Lab says that by teaming with VMware, its forthcoming solution will provide enhanced protection utilizing Intrusion Detection (IDS) and Intrusion Prevention (IPS) technologies that will help customers to continue utilizing their existing investments in networking and security products, while enjoying the efficiency and agility benefits of VMware cloud infrastructure. The announcement was made surrounding the VMworld Conference taking place in San Francisco this week. In February of this year, the company released Kaspersky Security for Virtualization, a solution delivered as a virtual security appliance that integrates with VMware vShield™ Endpoint and provides agent-less, anti-malware security based upon Kaspersky Lab’s constantly updated scanning engine to address threats as they emerge. The Russian software company, which had revenue topping $612 million in 2011, has traditionally focused on consumer endpoint security solutions, but is making moves to increase its offerings in the business and enterprise space, as well as the data center and mobile/tablet security space. According to a global survey of businesses conducted by O+K Research in March 2012, 81 percent of US companies run business-critical services in virtual environments. Kaspersky echoed the widely agreed upon notion that while many businesses rush to virtualize their IT, many don’t fully recognize the security implications. 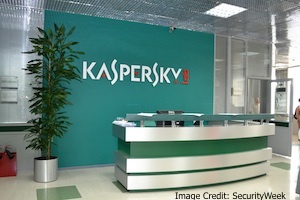 Businesses that plan to secure their virtual environments seem to have a “one-size fits all” attitude, Kaspersky said. “Instead of applying physical protection methods to virtual machines, an agent-less security solution eliminates the need for duplicated resources on each virtual machines, helping to optimize performance, reduce hardware costs and energy consumption, and provide detailed logging of security tasks to satisfy compliance auditing requirements,” the company explained. Product availability and pricing has not yet been disclosed.